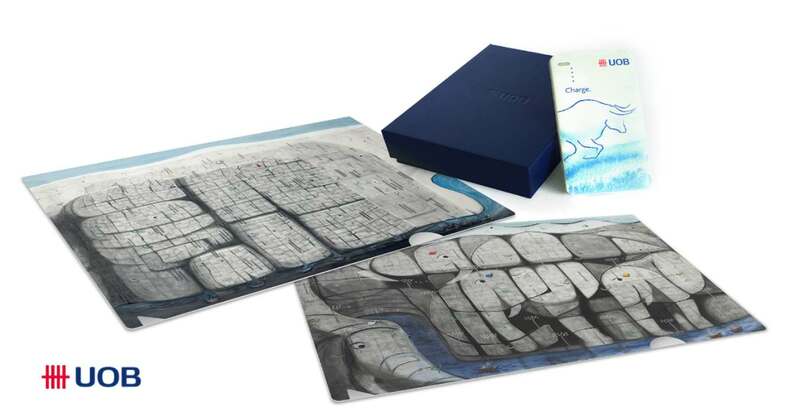 We are giving away 20 sets of special edition art-inspired power bank and folders. Update (8 May 2017): Due to the overwhelming response for this contest, we are pleased to select 50 winners. So keep your entries coming! 1. What is the title of Tang Kok Soo’s solo exhibition at the UOB Art Gallery? Leave the right answer in the comments below. Contest closes on 12 May 2017, 3pm (GMT +8). Winners will be notified on 15 May 2017. T&Cs apply. Come explore the colourful worlds of Mr Tang Kok Soo, Gold Award winner of 2016 UOB Painting of the Year (Singapore) at the “Tang and Tranquillity” solo art exhibition at UOB Art Gallery which runs until 19 May 2017. Find out more at UOB.